Which backup software is best for your business? It’s a question that leads to many more. What can the software back up? What restore options does it have? Can it perform a system recovery? What is the support like? How much does it cost? 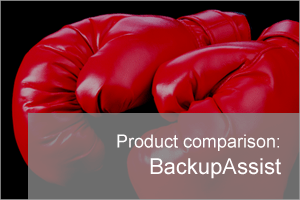 In this post I look at the features required for a comprehensive backup solution, and compare Symantec Backup Exec and BackupAssist’s support for those features. How easy a product is to use may influence the quality of the solutions you build as it affects your ability to access and understand the features available. Below are two comparative screenshots of the latest versions of each products. The following table compares some key backup options available in BackupAssist and Backup Exec. Backup destination support is also an important consideration. For this reason, BackupAssist supports an extensive range of backup destinations using three different backup types: File Protection (replication), File Archiving (compression) and System Protection (imaging). This table looks at the three BackupAssist backup types and the destinations they support. What your backup can be used to restore is critical. It is not enough to be able to restore servers and files shares. Backup software needs to be able to carry out a range of restore functions for databases and virtual environments. This table lists the different types of Windows server application restores supported. With Backup Exec, you need to install the Exchange agent within the Exchange machine. You also need to have the appropriate agent licensing. With BackupAssist, you need BackupAssist installed on the Exchange Server. You also need the Exchange Granular Restore Add-on to restore mail items from EDB databases and PST/OST files to a live Exchange Server. Both Backup Exec and BackupAssist support transaction level backups. BackupAssist backups can be daily or near-continuous (minimum every 15 minutes). To perform a BackupAssist point-in-time SQL restore, just provide the time that you want to restore from, and BackupAssist will show the available restore points closest to that time. With Backup Exec, you need to install the Hyper-V agent within the guest machine. You also need to have the appropriate agent licensing. With BackupAssist, you do not need to install anything on the guest – just on the host. You also need the Hyper-V Granular Restore Console Add-on license. NOTE: BackupAssist Hyper-V Granular Restore can restore files from inside a Hyper-V guest, using a backup of one or more guests. If you have the Exchange Granular Restore Add-on, you can also restore individual mail items from an Exchange Server running on a Hype-V guest. BackupAssist Hyper-V backups are VSS-Aware and support cluster shared volume (CSV) environments. Recovery is the ability to recover a computer after hardware has been replaced or an operating system failure has occurred, and the computer can no longer start itself. Recovery is a critical feature for any data protection solution. This table looks at some of the operating system and recovery features supported by BackupAssist and Backup Exec. 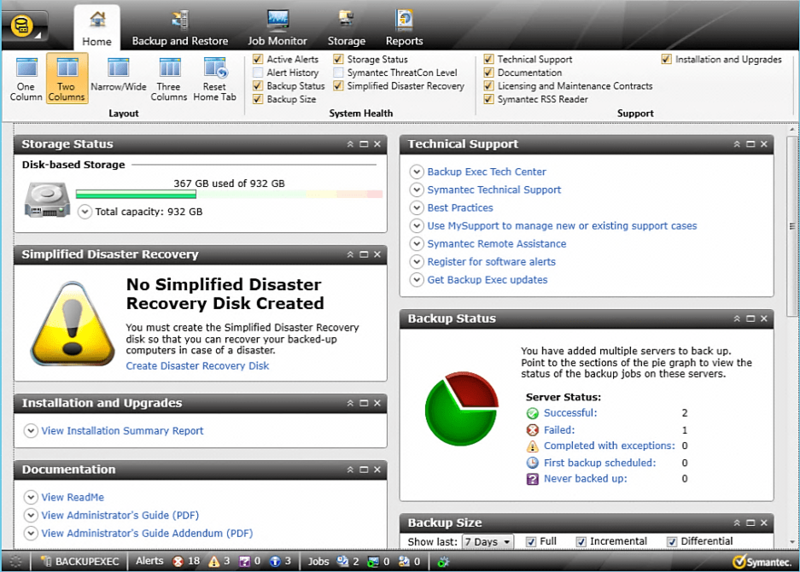 NOTE: BackupAssist’s Recovery tab uses RecoverAssist to create a customized, bootable recovery media. The media will start your computer and enable access to an image backup so that you can perform a recovery of your system. With backup administrators in one location and servers in another, it’s important to have a backup solution that allows you to remotely administer your backup software. This table shows key remote administration features and the support provided. BackupAssist and Backup Exec both have fully featured remote backup support. BackupAssist’s remote management is provided by a product called MultiSite Manager (currently in beta). NOTE: All BackupAssist installations can be connected to MultiSite Manager, a standalone product that can be interfaced with using a Web UI. MultiSite Manager will display each site in your network, and selecting a site will display all BackupAssist computers in that site. Selecting a computer will display all backup jobs on that computer. You can remotely manage all backup jobs, installations and licenses, and even open a remote session to a BackupAssist installation on a remote server. This table shows the types of support provided by BackupAssist and Backup Exec. Defining your backup requirements and identifying the products that meet those requirements, narrows down the list of possible backup solutions. Price then becomes an important factor. The tables below show the price per installation for BackupAssist and Backup Exec products. NOTE: When you buy BackupAssist, you own that version of BackupAssist for the life of the product. With Upgrade Protection, you also get access to the latest version of BackupAssist AND FREE SUPPORT. BACKUPASSIST pricing is modular, so you purchase a base license of BackupAssist then only purchase the Add-Ons that you need. NOTE: BackupAssist REALLY DOES provide unparalleled value for the protection of Windows based networks. For more information on BackupAssist, why not visit our YouTube channel where you’ll find an in-depth product tour along with a range of other shorter feature highlights. If you found this article useful, please feel free to share it with a colleague! Special thanks to the team at Cortex IT for the ORIGINAL materials used in this POST. 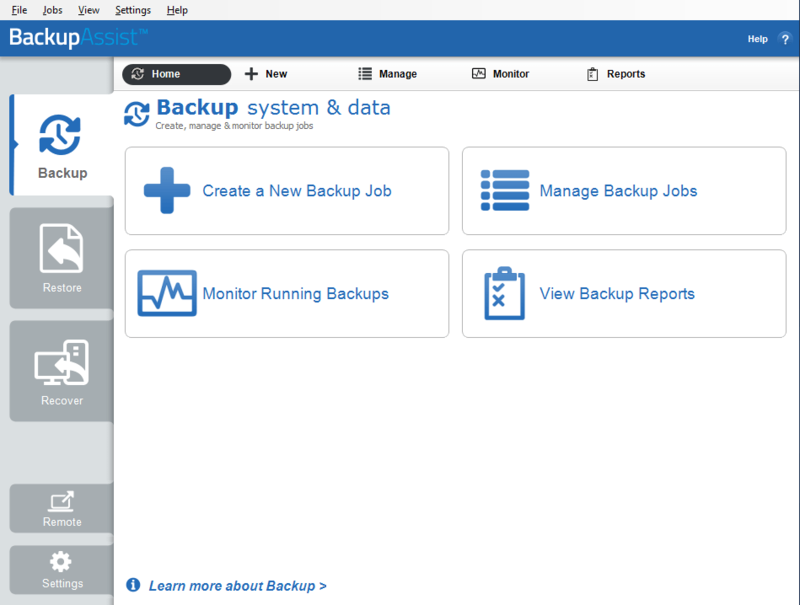 ← BackupAssist ‘Multi-site Manager’ Beta – We need you! Another option, and one that we use here to backup our VMware infrastructure is Veeam. Designed only for virtual environments, we have found it to be extremely quick to run the jobs and, more importantly, very easy to master. We tried Backup Exec at the start of our migration from P2V and really struggled to get it to interface with the VMware cluster. It seems we were not alone as the web is littered with techies having a real tough time with BUE. Excellent, thanks for the comment Bob – although I don’t have personal experience of using the latest version of Veeam as we use Hyper-V internally, I have to say we hear lots of good things about it from members of our partner program. I use both for a number of years now. I cannot get rid of Backup Exec as Backup Assist is missing a key component. The ability to backup multiple servers from one to Tape. It needs an agent for other servers and better tape options. Yep, I can completely understand that Brian – the new multi-site manager (https://blog.zensoftware.co.uk/2014/07/11/backupassist-multi-site-manager-beta-we-need-you/) brings BackupAssist a step closer to that centralised control concept but it’s still not quite the same as agents. I’m sure you know already that it is possible to backup multiple servers to tape but it’s not as elegant as you’ll still need full versions of the software on each machine.